Having just concluded the 9th edition of Brazil Windpower in Rio de Janeiro (7-9 August) and on the eve of the 1st edition of Argentina Windpower (6-7 September in Buenos Aires), it seems a good time to have a look at the Latin American (including Mexico) market as a whole, to see how far it’s come in the last ten years, but also what the growth potential is for the future. Ten years ago, the market didn’t really exist. Total installations during 2007 in the region amounted to 30 MW, to bring total installed capacity up to 537 MW, about half of which was in Brazil. The rest was scattered about in mostly single projects in half a dozen countries. At the end of 2017, total installed capacity was just about 22,000 MW, still dominated by Brazil with nearly 13,000 MW, but with substantial markets in Mexico, Chile and Uruguay, and a major market developing in Argentina. Peru, Costa Rica, Honduras, Nicaragua and Panama have small but interesting markets, and there are indications that Colombia could develop a prominent wind market in the coming years. After a number of attempts to stimulate the market after the ‘energy crisis’ in Brazil at the turn of the millennium, the Brazilian market finally took off at the end of 2009 with the first reverse auction for wind power, which contracted more than 1,800 MW, and set the stage for the remarkable growth of the Brazilian industry over the next several years. The controversial rules for local content set by the BNDES (Brazilian National Bank for Sustainable Development) meant that many major OEMs opened factories in the country, at a time when the international market was stagnating due to the international financial crisis. Currently at just over 13,000 MW installed, the sector now faces a new challenge, as the combined political and economic crises of the past few years meant that no new power was contracted between late 2015 and late 2017. So, while installations will maintain a healthy level (close to the 2 GW per year deemed necessary to keep the local supply chain in business) for 2018, 2019 and 2020 will be a struggle, as the results of auctions in 2017 (and the expected positive result of the auction scheduled for August 31, 2018 – for which more than 900 wind projects amounting to more than 27 GW(!) are registered) will not begin to bear fruit until 2021. It is hoped that the ‘free market will make up for some of that’, and current government expectations are for about 15 GW of new wind power over the next 8 years, bringing the 2026 year-end total to over 28 GW. Private sector initiatives began to unlock Mexico’s wind potential just over ten years ago, and for the next several years all installations were located in the windy southern state of Oaxaca. With Mexico’s major energy reform in 2013/14, increased privatization in the power sector and the introduction of competitive auctions in 2016, Mexico is set to have its first annual market with more than 1000 MW in 2018. With a 2017 year-end total of just over 4,000 MW, a rapid rise in installation rates is expected in order for the sector and the country to meet the clean power goals of 35 percent of electricity by 2024, with 12-14,000 MW of wind by 2022. Uruguay has quietly gone about becoming the first country in South America to have a close to 100 percent renewable energy power sector. A remarkable wind power market has been established over the past five or six years. Wind power provided 30 percent of Uruguay’s electricity in 2017, complementing its large existing hydro resources. With a 2017 year-end total of just over 1,500 MW, and one more project (54MW) coming on line in early 2018, Uruguay is set to get about 40 percent of its power from wind in 2018 and for the foreseeable future, second in the world only to Denmark. Chile’s wind power market has struggled to establish itself over the past ten years, but has now installed 1,500 MW, with another 375 MW under construction, and more than 7 GW approved. Development of the Chilean RE market has been hampered by transmission issues and the unnecessary complexity of the tendering system. Argentina is the most exciting new market in the region. 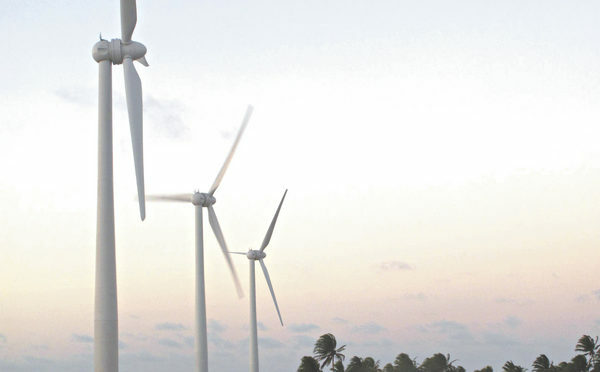 With the goal established to supply 20 percent of the country’s power with renewable energy by 2025, the implementation of the country’s first renewable energy auctions in 2016 and 2017 resulted in more than 2,400 MW of wind power being contracted, with private and legacy projects adding another 500+ MW, creating a solid pipeline of nearly 3 GW. New auctions are anticipated for 2018 (although it may be delayed due to transmission bottlenecks) and there is growing interest in the private market for large consumers. While the country and the market remain ‘high-risk’, the rewards are great, and many major international players have jumped into the market. Colombia has always been a tough market, as incumbent generators have generally been able to squash government initiatives to open up the market to other sources such as wind and solar. However, during the past 18 months the outgoing government was able to establish the parameters for a procurement system which would give wind and other RE technologies a fighting chance. Originally planned to be implemented during 2018, it appears now that it will in fact be implemented by the new government in early 2019. Watch this space! This brief snapshot of the Latin America wind power market gives a sense of the potential of the region. While annual installations have declined slightly over the past two years, primarily due to the economic difficulties in Brazil and transition issues in Mexico, the overall outlook past 2020 is very bright. Back in 2009 we looked at the regional market in the context of our Global Wind Energy Outlook model, and projected 2020 cumulative installations of about 30 GW for the region in to the Moderate Scenario, and 36 GW under the Advanced Scenario. Given what we know now, we will reach the 30 GW target with ease – 36 GW is something of a stretch, but with solid performance in Mexico, Argentina and Chile, we just might make it. 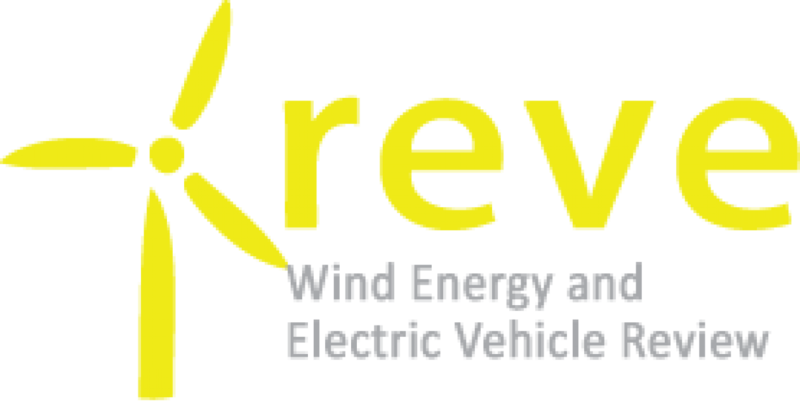 Steve Sawyer is Secretary General of the Global Wind Energy Council. Steve Sawyer joined the Global Wind Energy Council as its first Secretary General in April 2007. Steve has worked in the energy and environment field since 1978, with a particular focus on climate change and renewable energy since 1988.